For the Visa d'or Paris Match News award and the Visa d'or feature award, the Ville de Perpignan Rémi Ochlik award and the Figaro Magazine Lifetime Achievement Visa d'or award, picture editors and assistant picture editors make a selection from all reports seen over the past year (both published and unpublished), choosing four nominees per category. A second jury meets in Perpignan to choose the winners for each Visa d'or award (News, Feature and Daily Press). The 2018 Arthus-Bertrand Visa D'or Awards go to the best reports published beatween September 2017 and August 2018. 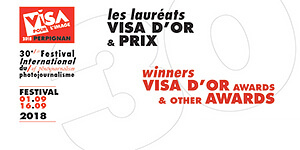 Visa d'Or trophies are designed and made by the Arthus-Bertrabd workshops. The Visa d'or Paris Match News award was presented on Saturday, September 8. For the eleventh time, Paris Match will fund the prize of €8000 to the Visa d'or News award winner. The 2018 winner is Véronique de Viguerie / The Verbatim Agency for Time & Paris Match for her work: Yemen, the Hidden War. 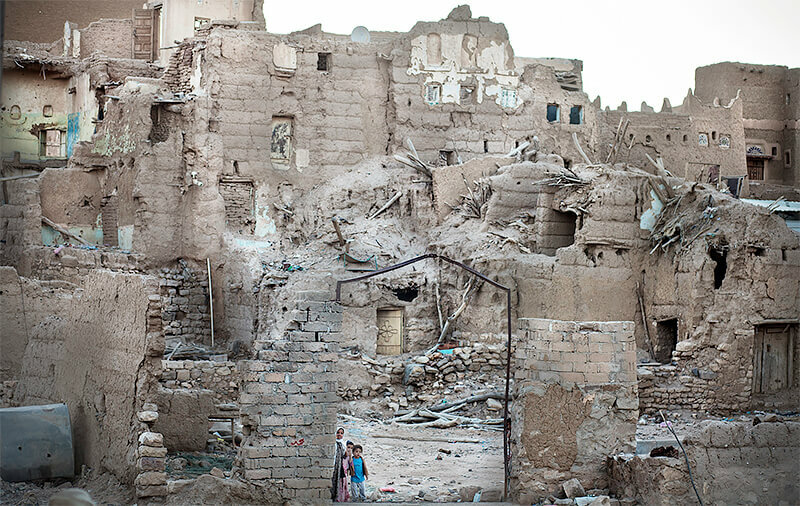 Yemen, The Hidden War: Chaher (11) is hovering between life and death. He and his brother were guarding their herd when they were caught in an airstrike. 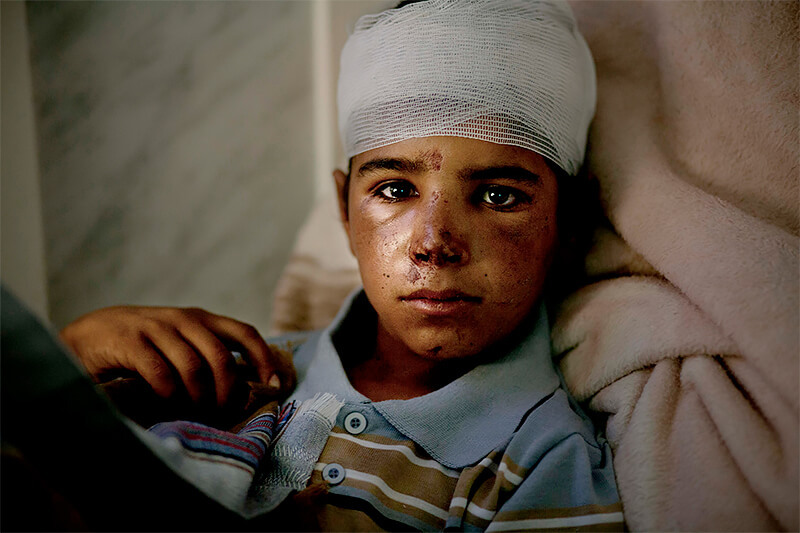 A piece of shrapnel lodged in his brain, but the hospital has no surgeon and no MRI equipment. Saada, October 2017. The Visa d'or Région Occitanie / Pyrénées-Méditerranée Feature award was presented on Friday, September 7. For the eleventh time, the Région of Occitanie / Pyrénées-Méditerranée fund the prize of €8000 for the Visa d'or Feature award winner. 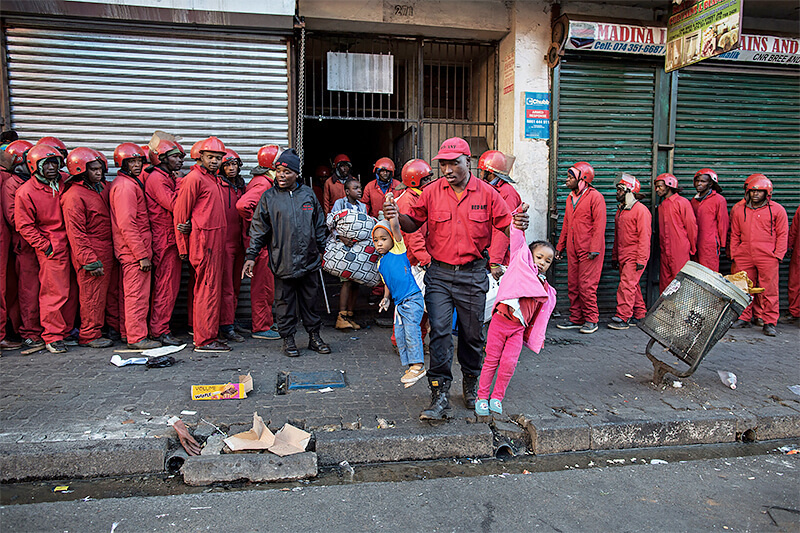 The Red Ants: A Red Ants major removing two children when evicting residents from a hijacked building. Bree Street, Johannesburg, June 23, 2017. The Lifetime Achievement Visa d'or award was created by Visa pour l'Image and Le Figaro Magazine in recognition of the lifetime achievement of an established photographer who is still working. 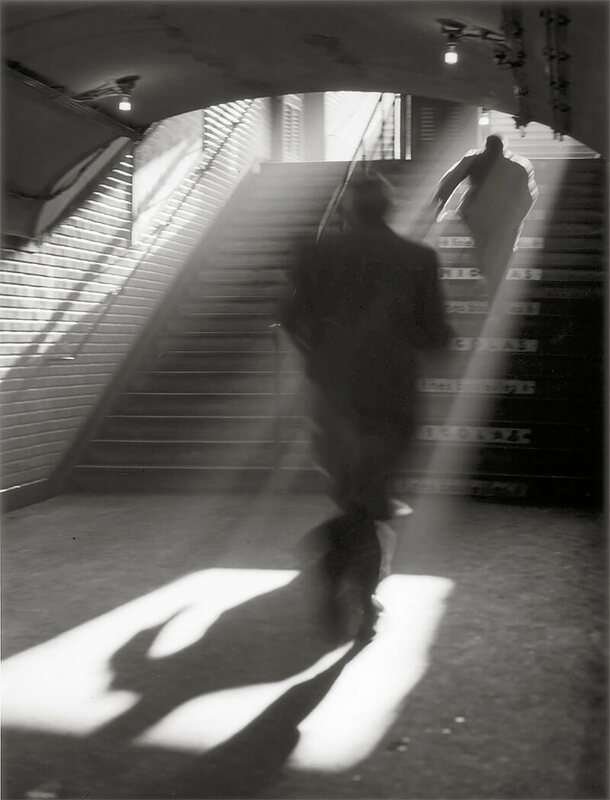 The sixth Lifetime Achievement Visa d'or award, sponsored by Le Figaro Magazine, with prize money of €8000, was presented at the evening show on Friday, September 7 and goes to Sabine Weiss. The Visa d'or Daily Press award was presented during the evening show on Wednesday, September 5. For the seventh time, the Perpignan Méditerranée Métropole Urban Community will fund the prize of €8000 for the Visa d'or Daily Press award winner. Entries were received from 20 newspapers. The Visa d'or has been awarded to the French daily newspaper LIBéRATION for the report by Sergey Ponomarev on the FIFA World Cup in Russia. Since 1990, the Visa d'or Daily Press award has been given for the best report of the previous year published in the daily press in any country around the world. By supporting this award, the Perpignan Méditerranée Métropole Urban Community is playing its role, helping stimulate discussion and focus attention on the men and women who are the source of our daily news reports. This particular Friday was the first day without a match since the beginning of the competition. 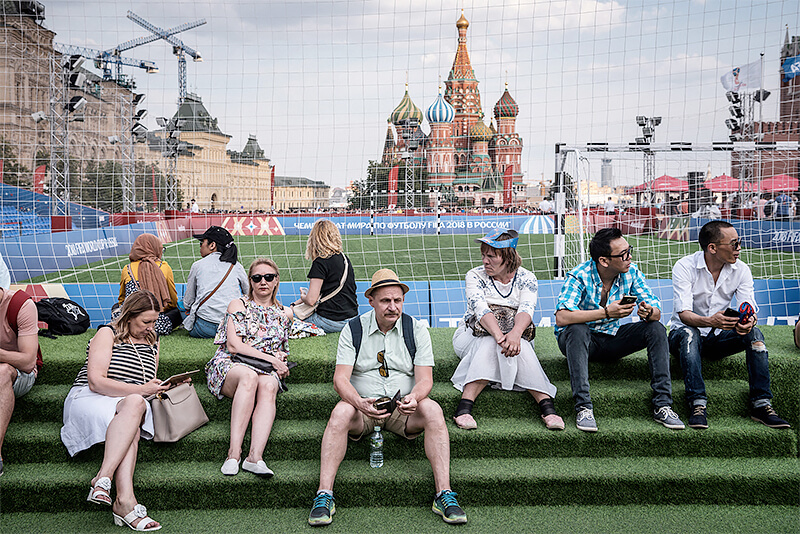 It was a rest day for the teams that had qualified and could work on their strategy to prepare for the next round, and it was an opportunity for their supporters to discover life outside the sports stadiums. Moscow, 29 June 2018. The eighth ICRC Humanitarian Visa d'or award recognize the work of a professional photojournalist who has covered a humanitarian issue related to a situation of armed conflict. The subject chosen for entries in 2018 is urban warfare and the impact on civilians, either trapped and hiding or forced to flee. This year's award, with prize money of €8000 funded by the ICRC, goes to Véronique de Viguerie for her report on the humanitarian consequences of the conflict in Yemen. The award was presented during the evening show on Thursday, September 6. Yemen the Hidden war: Saada, Yemen, October 2017. The historic site in the region of Rahban was severely damaged by airstrikes by the Saudi-led coalition. For the third year Visa pour l'Image - Perpignan will have the Visa d'or franceinfo: Award for the Best Digital News Story, organized with support from France Médias Monde, France Télévisions, Radio France and Institut national de l'audiovisuel, all public broadcasting media. The scope of the award covers virtual reality, interactivity and editorial video work released via social media. In the context of non-stop news around the world, the Visa d'or franceinfo: Award for the Best Digital News Story will grant recognition for an idea, content and original work offering an interesting angle and perspective on the news. The prize money of €8000 is funded by France Médias Monde, France Télévisions, Radio France & Institut national de l'audiovisuel. The award was presented at the evening show on Thursday, September 6. The winners are Valentine Van Vyve (freelance journalist) & Olivier Papegnies / Collectif Huma pour Koglweogo - When the State Fails, broadcast by La Libre Belgique. 2017 - BURKINA FASO, POTIAMANGA: Thirteen new members have joined the Koglweogo group of Potiamanga, which now consists of 36 people. "We will have to increase the number of people to eradicate banditry in the area," said Combary Nindia, president of the Potiamanga association. "To become Koglweogo, you have to adhere to the rules and take part in the initiation," he adds, with all the black magic involved, which is omnipresent in the Koglweogo activity. It is said that in striking a thug, it is the evil, in him, that disappears. October 14, 2017. The Carmignac Foundation is pleased to be here this year, for the fourth time, with the Festival Visa pour l'Image - Perpignan. 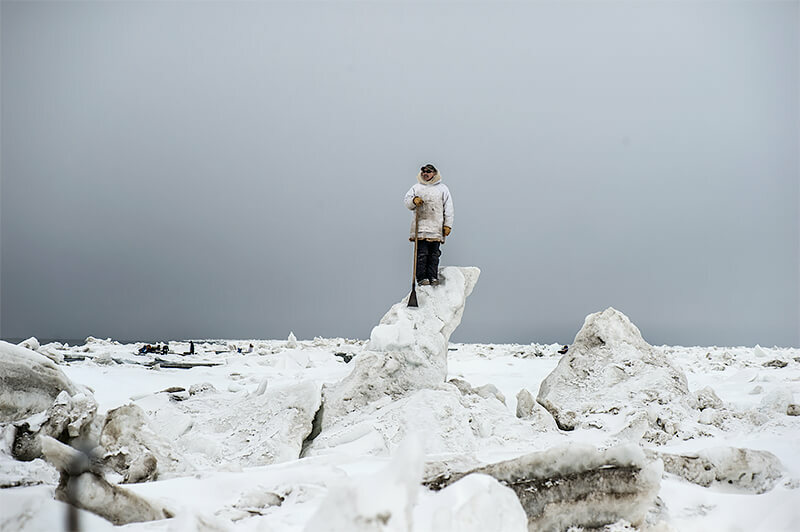 In 2018, the Foundation presented a preview of the report which won the 9th Carmignac Photojournalism Award: "The Arctic, a New Frontier" by Yuri Kozyrev and Kadir van Lohuizen, screened at the evening show in Perpignan on Wednesday, September 5. 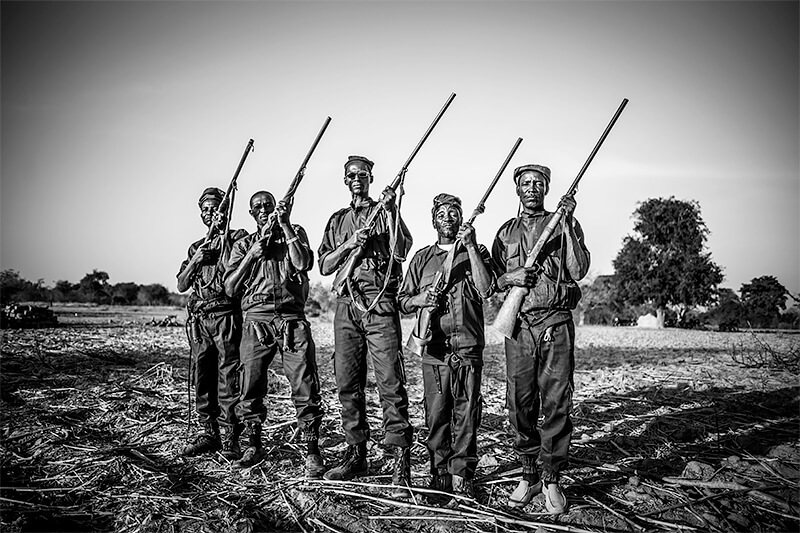 The Carmignac Photojournalism Award, first founded in 2009 and presented every year, provides support for a photographic report to be produced featuring investigative journalism and focusing attention on violations of human rights. The subject for the 9th award was "Threats to the Arctic," and the chairperson was the climatologist Jean Jouzel, vice-president of the IPCC (Intergovernmental Panel on Climate Change) which was jointly awarded the Nobel Peace Prize in 2007. An international jury selects the award-winners who received the grant from the Carmignac Foundation to carry out an in-depth photographic project, and also to fund a touring exhibition and the publication of a monograph. 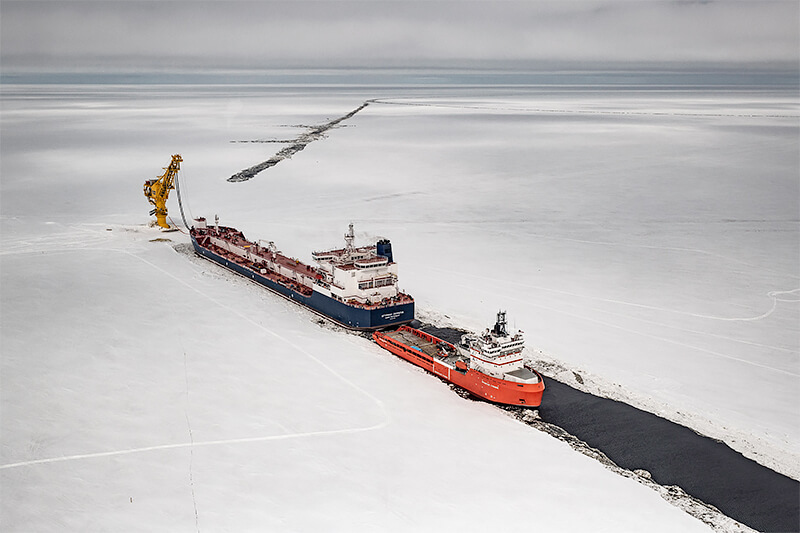 Yamal Peninsula April 2018: The Arctic Gate terminal is located in the Gulf of Ob, near Cape Kamenny. The first oil was shipped out from the terminal in 2014, and winter out-shipments started in 2015. It was launched as part of the Novy Port oil field development.